Classically trained pianist, composer, arranger, and producer Anton Batagov was born on October 10, 1965 in Moscow. He began studying piano and musical theory at the Gnessin School of Music, and later attended the Moscow Conservatory, studying piano and composition. He won his first international award at the Concertino-Prague Competition in 1981 that was followed by the awards at the National Piano Competition in 1985, the Tchaikovsky Competition in 1986, and the Sydney Piano Competition in 1988. His concert experience included touring in Europe, the United States of America, Canada, Japan and Australia. While Batagov’s musical language was heavily influenced by the heritage of the Russian and European classics, he created the style of his own developing harmonic palette and motoric pulse of the Soviet avant-garde music of the 20-30s. He was also the first Russian pianist to take advantage of interpreting works by John Cage, Morton Feldman, Steve Reich, and Philip Glass among others. 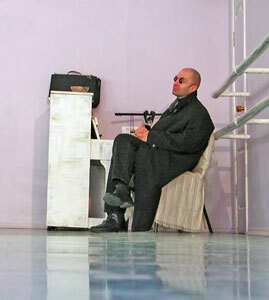 In the last decade of the twentieth century, Batagov came out as one of the most influential young Russian composers and performers of electronic, movie, documentary and new improvised music with trademark rhythmic vigor, unique sense of large-scale architecture, and lush, textured emotionalism. However, it is Batagov’s spiritual exploration of great emotional depth and inward development, which has emerged recently as his most important contribution to the musical culture of this country. "...Not long than thirty years ago, even if there were few ones seeking to understand the things through music and not just consuming it - at present, this is a pure entertainment... Classical music is not at all an important code carrying the Highest Knowledge: all attempts to decipher it or interpret in a "new" and "specific" way, not as is customary, by no means do not lead to a new level of knowledge - but to meaningless cultural and aesthetic games... While doing it inside a studio, not on stage, we release ourselves from the necessity to entertain others... and instead meet a challenge of that very imperfect convention, in the format of which a certain Composer tried to express something somewhere in the past..." - Anton Batagov (from "The Mistakes of Y2K"). For more information, complete catalog, and reviews visit Anton Batagov's official homepage. "Batagov is very well known in Russia as a Piano protege, in fact, judging by the several releases he has put together, he is in huge demand for his ability. Each of the tracks is from 7 to 16 minutes in length, which at first glance seems oddly worrying for a Piano only release. Fortunately, the hype surrounding this man isn't over-hyped in the slightest. 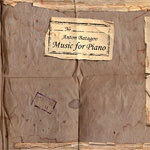 Batagov has a knack of generating beautiful, sorrowful and haunting Piano melodies. The first track grips you from the word "go", and takes on an almost delicate Eastern manner at times. This is a Ballad, a Lullaby, or even just a nice soothing number to fall asleep too. It doesn't stop here either, each of the tracks takes on a clear different approach in sound, and Anton is not only a master of his art, he's by far a modern day Composer. It feels unfair to compare this to the likes of Mozart, Beethoven etc, as the style is too stretched, but by all means, there aren't enough people out there playing original Piano music anymore. Out of those that are, Mr. Batagov is one of the best I've heard. Face it, who doesn't hear a Piano piece and think "wow"?. The question is, can you handle 54 minutes of just Piano? If you think you can, please, please get an Anton Batagov release. Preferably this one. It's calming, relaxing, Beautiful, and above all else, it gives all of you out there something in your collection you can actually play when Auntie gets married! Hurray!" – by T300 at Heathen Harvest (USA) (December 2006).